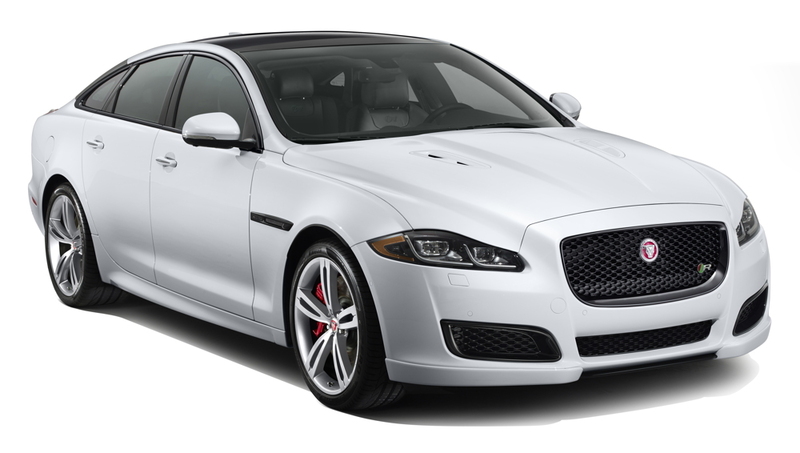 For 2016 all Jaguars get Jaguar EliteCare, an upgraded warranty: the vehicle is covered from headlight to taillight for five years or 60,000 miles, including all maintenance, towing and roadside assistance. It doesn't cover wear and tear components such as brake pads or wiper blades. The big news is the addition of a six-speed manual transmission as standard to the F-Type and F-Type S. Sadly, the F-Type R and AWD versions only come automatic. 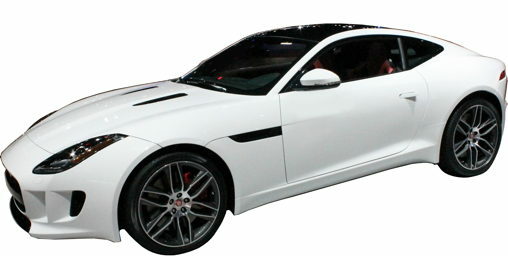 All-wheel drive is also now available on F-Type S and standard on F-Type R. A system designed not to take out the sport from Jag's sports car, it sends 100% of the power to the rear wheels as long as they can handle it; only when slip starts does up to 50% of the grunt get shunted to the front wheels. 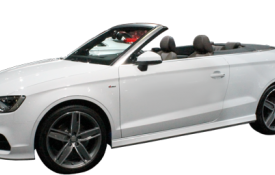 The V-8 S model has been axed: Convertibles are now offered in "R" level guise, complete with All-Wheel Drive and 550 horsepower. Fuel mileage is not available for manual transmission models, yet. The F-Type S AWD is rated at 18 city/26 hwy (1 MPG less than the RWD). The F-Type R is rated at 15 city/23 hwy, losing 1 MPG in the city over last-years rear-wheel drive version (no longer offered). Electrically-assisted steering replaces hydraulic assist, though Jaguar claims the feel of the road is maintained. 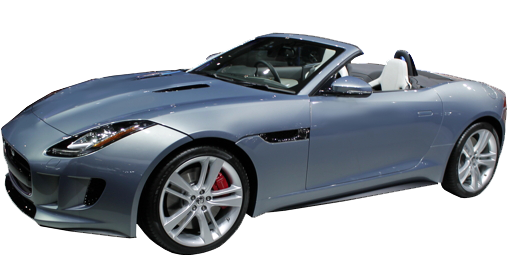 Jaguar InControl is new to the F-Type (standard), where it includes SOS Emergency Call to bring emergency services in case of an accident or help locate a stolen vehicle. In also includes a connection to smartphones to play internet radio stations directly through the radio, or remotely start the car (automatic transmission only). Features previously optional made standard: Smart Key (unlock and start the car without taking the key out) and 14-way power seats with memory. This new entry-level sedan will enter the U.S. in the Spring of 2016 as a 2017 model. It uses a lot more aluminum than the BMW 3 Series or Mercedes C-Class it competes with, and Jaguar is banking on it to increase their volume and revenues. A 240-horsepower 4-cylinder turbo is standard. Top-of-the-line S models get a 340-horsepower supercharged V6. 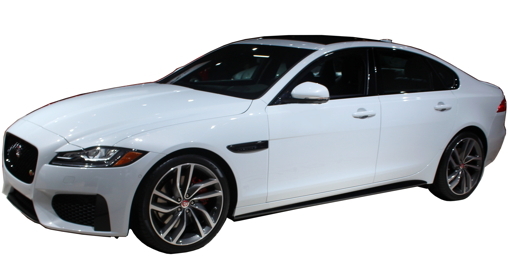 Duel video cameras mounted in the windshield give this baby Jaguar the marque's first lane departure warning system, as well as fully automatic emergency braking. 18-inch wheels are standard, and 19 or 20-inch wheels are available. This all-new XF rides on a two-inch longer wheelbase but weighs less due to a large increase in its use of aluminum (pronounced "aluminium") and high-strength steel. Overall length stays about the same: a sign of a more efficient use of space. The 2.0 turbocharged 4-cylinder has been ditched, leaving the 3.0 supercharged V6 with 340 horsepower as the entry-level engine. 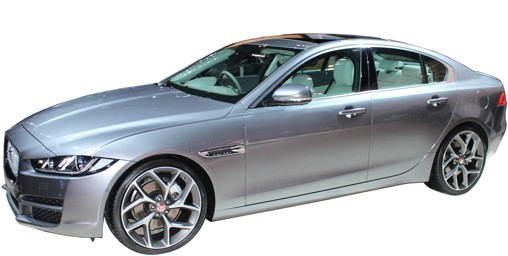 XF S models get the upgraded version from the F-Type S, with 380n horsepower. A V8 will have to wait for an XFR model. All models come standard with an 8-speed automatic transmission and offer optional all-wheel-drive. Fuel mileage is 20 city/30 highway miles per gallon for rear-wheel-drive models and 20 city/28 highway for all-wheel-drive. The main instrument cluster has been replaced with a monitor capable of showing gauges or even a full navigation view, though vehicle speed in small numbers and a fuel gauge are still present in this mode to satisfy federal law. Jaguar's InControl connected vehicle system now allows smartphone integration, and can start the car via smartphone and turn on heater, air conditioner and/or heated/ventilated seats. The system can contact emergency personnel in an emergency, remotely lock or unlock the car and track a stolen car for authorities. With new XE and XF models, the XJ still manages a refreshed look and some tweaks. Front numbers, grille and headlights are all new, with LED headlights that pivot for corners standard on all models. At the rear new exhaust tips and taillights gussy up the XJ. Electric power steering replaces hydraulic units on rear-wheel-drive XJs, now that Jaguar says they have the feel down. This allows semi-automated parallel and perpendicular parking systems to be made optional. A surround view camera is also a new option. Ventilated seats are now standard in the front and rear on all models, adding to the heating that was already standard. Massaging seats in front and rear are still optional. An all-new infotainment system is much quicker and responsive. It's designed to act like a tablet, with multiple touch gestures and a high level of customizability. The main instrument cluster has been replaced with a monitor capable of showing gauges or even a full navigation view, though vehicle speed in small numbers and a fuel gauge are still present to satisfy federal law. Jaguar's InControl connected vehicle system now allows smartphone integration, and can start the car via smartphone and turn on heater, air conditioner and/or heated/ventilated seats. The system can contact emergency personnel in an emergency, remotely lock or unlock the car and track a stolen car for authorities. Like so many others, the XJ now offers a WiFi hotspot. Optional Adaptive Cruise Control now includes "Queue Assist," a system that can let the vehicle come to a complete stop and start up again.